Facial swelling may be the result of trauma, foreign body penetration, inflammation, infection or tumor formation (oral cancer, cysts or neoplasia). Trauma to the face may result in soft tissue swelling or cause bony fractures. 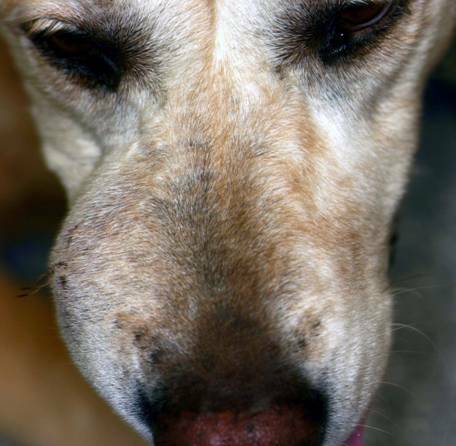 Facial swellings may be very painful for our companion animals. It is important to obtain a diagnosis prior to establishing a definitive treatment plan. Impression smears, fine needle aspirates, incisional or excisional biopsies, and imaging techniques help with arriving at a diagnosis. Dental radiograph imaging provides excellent detail. Computed tomography (CT or Cat Scans) is an alternate imaging technique we can offer. The CT scan is particularly useful in treatment planning for surgical excision (removal) of large tumors. CT scans help in providing a three dimensional analysis of oral masses. This patient's face was traumatized from walking into a glass door. The traumatic event occurred more than a year previously. Alternate view of facial swelling. Alternate view. 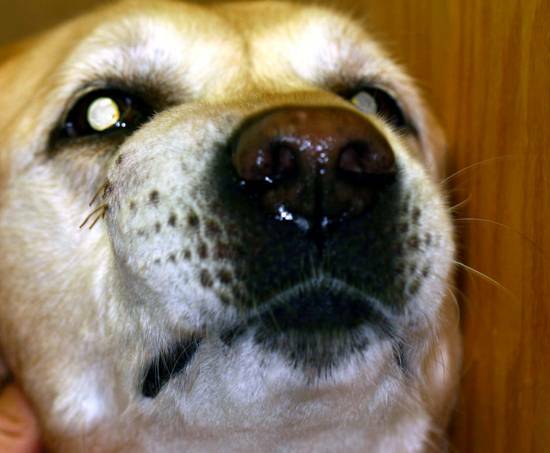 Dusty was sniffing in the wrong location causing chemical irritation with intraoral burns. Magnum, an 8 month Great Dane had a large lower jaw swelling from hypertrophic osteodystrophy. Dental radiographs were diagnostic for a dentigerous cyst and the excisional biopsy was used to confirm the presumptive diagnosis (see case below). 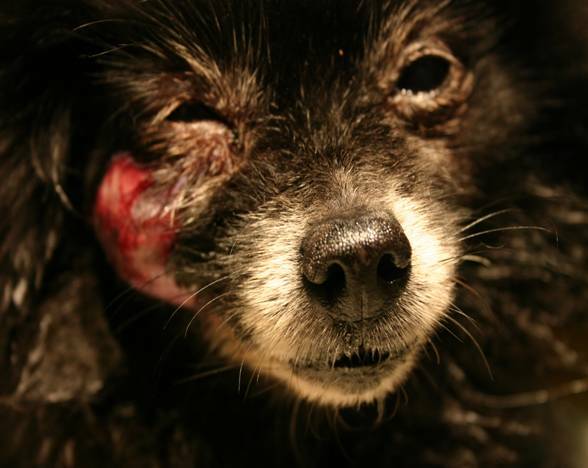 Gemini had an intraoral cyst causing facial swelling and pain. Sebastian was pawing at his face from a traumatic stick puncture wound near the angle of the jaw. discontinued. After three cycles of antibiotic therapy, root canal therapy was performed which ended the problem. This was Cindy's side view. She was absolutely miserable until we performed root canal therapy. Isabelle suffered from a facial traumatic injury. She was attacked by a large dog in the local dog park. Gingival enlargements were very uncomfortable for Lisa. failed to erupt. 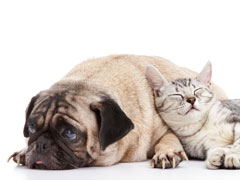 If your pet is missing a tooth, it must be evaluated by dental radiographs. These cysts don't tend to be painful, however, they are very destructive. Missy's right eye swelled closed. Missy had pink, bloody, nasal nasal discharge on the right side (same side the eye was swollen closed). therapy for a multilobular osteosarcoma of the zygomatic arch (facial bone). resulted in the diagnosis of fibrosarcoma, a malignant oral tumor. These swellings may be painful or non-painful.